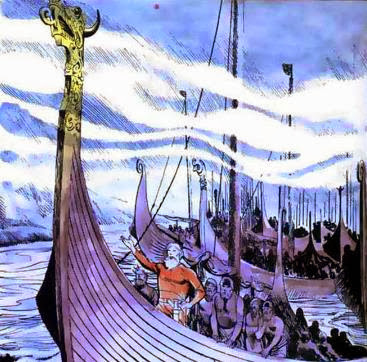 The Annals of Ulster tells " Devastation of all the islands of Britain by heathens" , the Northumbrian monastery Monkwearmouth-Jarrow by the Tyne river, was attacked by vikings, but the Northumbrians defeated the vikings first, but the vikings came back after the guards had left and looted the monastery. The monastery was destroyed later by Danish vikings in 860, and later completely abandoned. 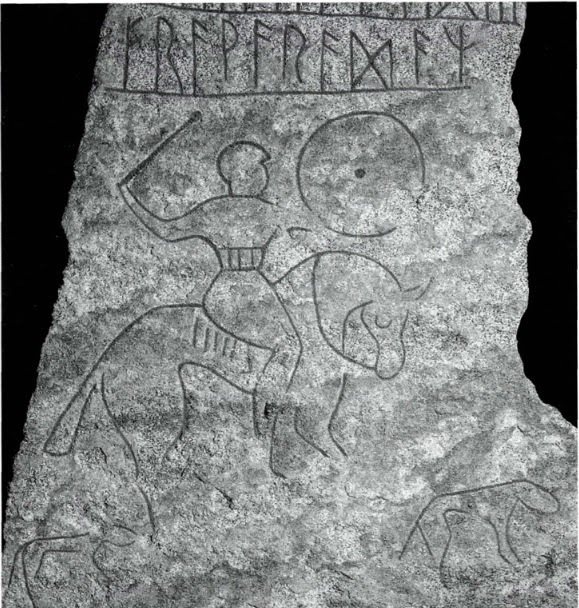 This carved rune stone shows a Viking warrior on horseback armed with a sword and a shield.